Angers lies in the heart of the Loire Valley, an hour and half from Paris by high-speed rail and an hour’s drive from LeMans, the founding site of the Holy Cross Congregation. With the sixteenth largest population of France, Angers is the capital of Anjou, a famous wine producing region. The university town offers a great diversity of cultural activities: a 13th century castle, numerous museums, film festivals, theatres and music. Students are enrolled in courses at the Université Catholique de l’Ouest for the fall, spring or full year. While in Angers, all students take French language courses at UCO in CIDEF, which is the Institute of French as a Foreign Language. Students enroll in language courses and, depending on skill level, one or two content courses toward their undergraduate degree. The program starts with a language intensive period to fully immerse in the language; all language classes will normally apply toward a French major or minor. In addition to language, CIDEF course offerings taught in French include history, art history, literature, philosophy, politics, culture, and topical subjects. Students with advanced language skills may take courses in the regular curriculum at UCO with local students. Students with beginning French language skills may take courses taught in English at UCO. CIDEF organizes five day-trip excursions in each semester to various sites within the Loire Valley of France; some of these include dinner and evening events. The short-term summer program consists of a four-week summer session in July. During this time students take an intensive language and culture course and earn 5 credits in French. The summer program also includes day-trip excursions in the Loire Valley. Students in Angers may select housing in UCO international residence halls or in homestays with local families, which come highly recommended for French language acquisition and proficiency. All homestays are located an easy transportation distance from the college. Public transportation includes a city tram and bicycles are provided to city residents. In the home students are provided with a room, all breakfasts and three dinners per week, plus access to the kitchen. For other meals a cash food allowance is provided which students may use at their discretion to eat at the university cafeteria, local restaurants, or to purchase food to cook at home. Students provide their own round-trip transportation to France, as well as within Europe. An international student ID card (ICIS) will make you eligible for discount rates on French trains. Eurail passes, for periods of unlimited train travel in a number of European countries, may be purchased in the U.S. prior to departure. Financial aid from Saint Mary's will be applied to your semester or year in France, but not the summer session. The current semester cost of the Angers program, payable to Saint Mary's, is the equivalent to current Saint Mary's tuition, room, board, and fees. 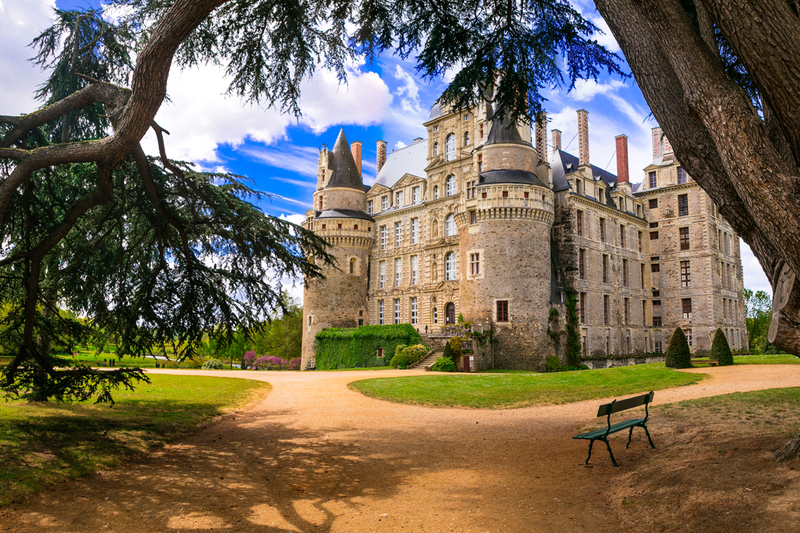 These figures include tuition, housing, meals and day trips provided by the Université Catholique de l’Ouest to various locations in the Loire Valley. Students must have a minimum 2.5 GPA as well as a B average in French at the time of their application. Students must complete at least one semester of Intermediate French (two are recommended) prior to study in Angers. Admission to the program is finalized through UCO. The student will need a letter of recommendation from her French professor to assess language level. It is expected that the student will be in good disciplinary standing at the College and exhibit the emotional maturity and openness to new experiences that make her a suitable representative of Saint Mary's College while abroad.